My Opinion: 6.3 || A political thriller with a distinctive style, it’s effective as a wide-ranging procedural but doesn’t succeed as well at the level of emotion and character. 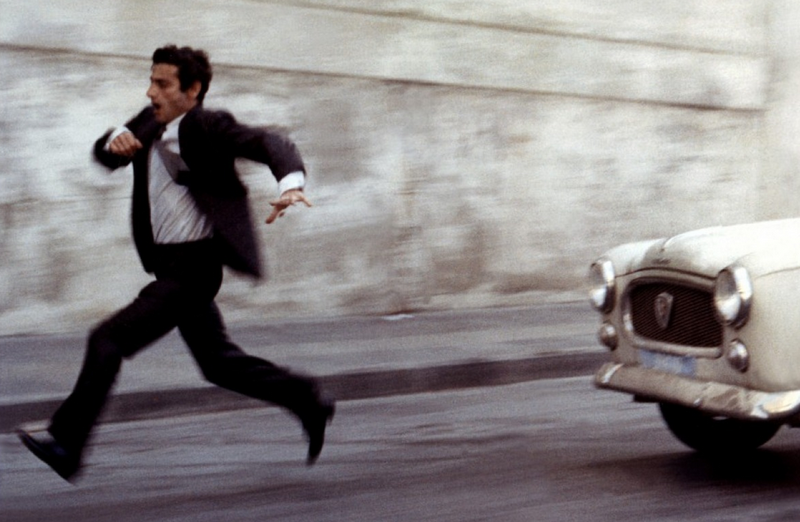 Costa-Gavras gives us great breadth, showing an act of political violence and its aftermath from every perspective. All well done, but it’s more of an expose than a fully rounded film. SYNOPSIS (Courtesy of IMDb): Following the murder of a prominent leftist, an investigator tries to uncover the truth while government officials attempt to cover up their roles. Strengths: Costa-Gavras’ ability to present so many perspectives is impressive, and his direction is very energetic and visually interesting. It’s one of the best depictions I’ve seen of life under an oppressive regime, and you feel the anger and frustration of the oppressed liberals. They have right and moral authority on their side but little else, and their impotence hurts. You spend much of the film looking for a way for them to prevail against the brutality and craven hypocrisy of the state — with the sinking realization that there are no good options. Weaknesses: Costa-Gavras makes no effort to hide his sympathies here. That doesn’t detract from the film’s credibility: You don’t have to know much about dictatorships to accept the accuracy of his depiction. That being said, the uniform ugliness and hypocrisy of nearly everyone in the state apparatus does reduce the movie’s aesthetic power. The individual characters on both sides are believable enough. But in a truly great movie, the filmmaker would have found ways to shed revealing light on every perspective. Costa-Gavras makes some attempt to tell us what the right-wing bastards believe, but their bastardness is the only character trait he’s really interested in. We get a powerful view of the procedures of oppression but few true insights into the inner lives of the characters we’re watching. 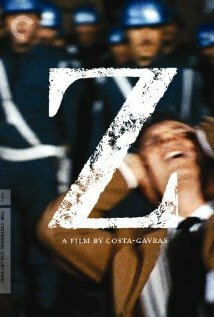 More than any other movie I’ve watched in this run, Z is a film of its time. Not just because of the specific late-60s milieu (and fashions) it presents but because of Costa-Gavras’ directorial habits, not all of which have aged well. Characters/Performances: Costa-Gavras does a good job of differentiating the many characters and investing them with believability (although I never did pick up the names of many characters). However, his occasional attempts at emotional impact fall flat. We’re shown flashbacks of the murdered deputy’s life with his wife, but the jump-cut style seems dated and, more important, the scenes feel out of place. We just don’t know enough about these people to have any emotional depth come through.